tanding behind Eastern Industrial Products, Inc.’s reputation for producing the highest quality standard and custom sized o-rings is its team of highly skilled, dedicated engineers. Our design assistance teams are experts at identifying the ideal size and best material for each application by examining functionality, environmental exposure, product life cycle, and critical property requirements. By determining whether it is functioning as a seal or transmitting energy – in contact with chemicals, solvents, oxygen, or sunlight – and requires properties such as elongation and tear strength as well as deformation and heat resistance, we guarantee that the product we deliver will exceed your expectations. Highlighting our expertise at meeting the demanding requirements of the defense industry, we recently designed a solution for a computer display that would be exposed to harsh heat and weather conditions. After close consultation with their engineers, our team recommended a custom-sized 70 durometer Viton o-ring with a unique cross section that would withstand high temperatures while exhibiting excellent low compression settings. Our latest-technology vulcanizing equipment coupled with our rigorous in-process testing and inspection allowed us to rapidly fabricate several prototype parts for customer evaluation. Choosing the 20.21″ I.D. x .025″ thick version for its optimal fit and functionality, the customer awarded us a contract for producing 500 pieces of this custom o-ring annually. 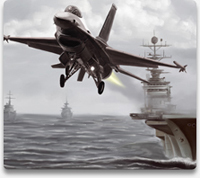 Product Description We recently worked with a defense contractor to supply an o-ring to help protect their equipment against harsh conditions. How Do you Want the O-Ring to Function? Will the O-Ring Be Transmitting Fluid or Energy? What Kind of Environment will the O-Ring be Exposed too? Will Any Chemicals or Solvents Come In Contact w/ the O-Ring? Will the Seal Interact w/ Oxygen or Sunlight? What is the Desired Product Life of the O-Ring? What Critical Properties Will you Need the O-Ring to Have? Features/Benefits Unique Cross Section I.D.